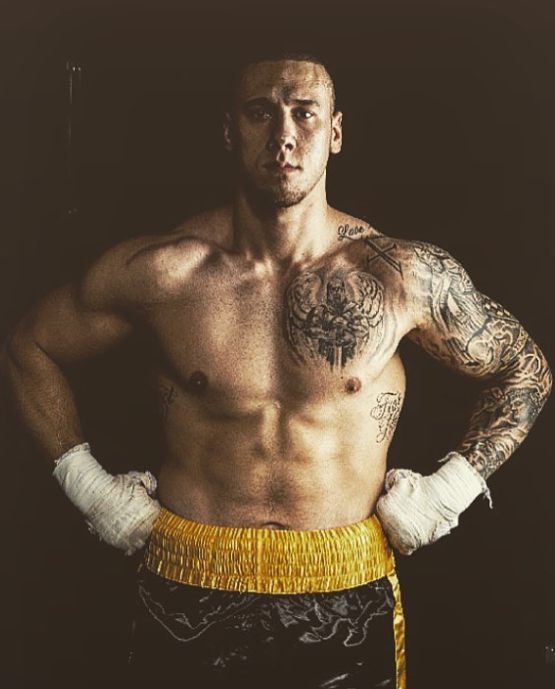 Greg Cohen of Greg Cohen Promotions proudly announces the signing of Canadian Heavyweight Champion Mladen “Monster” Miljas to a promotional contract. Undefeated Miljas, a perfect 8-0, 8 KOs, stands an impressive 6’ 6” and weighs in around 240 lbs. The 25-year-old Mississauga, Ontario, native won the Canadian title last December with an upset two-round stoppage of long-time champion Dillon Carman. Cohen, a well-established promoter in the sport, has worked with several world champions and gained a reputation for finding hidden gems like Miljas in boxing’s less-travelled areas. Having had just 20 amateur fights (17-3) and eight pro fights, Miljas is still a work in progress, despite being national champion in a country that has produced several world champions including Matthew Hilton, Donny Lalonde and George Chuvalo. Canada is also where several other champions learned to box, including Arturo Gatti and Lennox Lewis. Cohen says he’s impressed by Miljas’ accomplishment already and sees tremendous potential in a fighter that big who can punch. One of boxing’s premier promotional outfits, Greg Cohen Promotions (GCP) is a well-respected name for staging world-class professional boxing events and promoting elite professional fighters throughout the world. Founder and CEO Greg Cohen has been involved with professional boxing in various capacities since the late 1980s, honing his craft and establishing himself as a shrewd international boxing businessman. Distinguished by his ability to spot and develop raw talent, Cohen first made promotional headlines for his expert guidance of, among many others, former WBA Junior Middleweight Champion Austin “No Doubt” Trout, who Cohen helped guide from unknown New Mexico prospect to elite pay-per-view level superstar. In addition to Trout, Greg Cohen Promotions has worked with established names such as former unified and two-time heavyweight champion Hasim “The Rock” Rahman and all-time-great multiple-weight class world champion James “Lights Out” Toney. Cohen currently promotes undefeated WBO NABO Heavyweight Champion a top contender Jarrell Miller, top-rated middleweight contender Robert Brant, and former WBO NABO Lightweight Champion and world-rated contender Mason Menard, among many others. Greg Cohen Promotions has hosted world-class boxing events in the finest venues throughout the United States and the world and has also proudly provided talent and/or content for several television networks including CBS Sports Network, HBO, Showtime, ESPN, NBC Sports Network, CBS Sports Network, MSG and FOX Sports Net.